The following article explains the doctrine of imputation of the active and passive righteousness of Jesus Christ. This article was first submitted to the Whitefield Theological Journal. With the rise of the heresy of the Federal Vision, New Perspectives on Paul, and the Auburn Avenue Theology, there stands a continued need for reproclaiming the truth of historic Christianity. Contrary to modern liberal theologians who are continually trying to appeal to the masses with new-fangled theological ideas, such a reproclamation of orthodox theology is in accord with both the Gospel, and the Westminster Confession of Faith, and needs no revision, updating or change. Reformed Theology does not need to be modernized; it simply needs to be understood. Reformed Theologians have generally made a distinction between what is called the obedentia activa and obedentia passiva of Jesus Christ. These two components of the obedentia Christi are fundamental to understanding the foundational doctrine of the iustitia imputata of Christ. The two accompany each other at every point in the Savior’s life. Romans 10:4 declares, “For Christ is the end of the law for righteousness to everyone who believes.” Christ is the “termination” or τέλος (Rom. 10:4) of the law for all who believe (by faith) that His obedience forensically justifies them eternally. The obedentia activa and obedentia passiva of Jesus Christ summarizes the iustitia Dei used throughout the Scriptures. This phrase relates to the reflection of God’s character as seen in the perfect obedience to the commandments, or lex moralis. Justification is a summation of the legal declaration of God toward the sinner – the actus forensis – counting the believer righteous (through imputation) rather than making him righteous (misconstruing justification and sanctification). The iustitia imputata of Christ is completed upon God’s judicial declaration. At its heart “declarative justification” involves the iustitia alienum et extra nos (the alien righteousness not of the sinner but from Christ) imputed to the believer through faith by grace (Eph. 2:8-10). This obedentia Christi fulfills the covenant breaking of the Law that the first Adam failed to uphold. Karlberg says, “Where the first Adam failed as a covenant breaker, the second Adam succeeded in perfectly fulfilling the demands of the covenant by his active and passive obedience.” This does not liberate Christians from keeping the law – in terms of sanctification and holiness – but does release them from having to keep the law perfectly to satisfy divine justice and procure their own salvation (the first use of the law). Bahnsen states correctly, “Christ’s perfect obedience to the Law of God secures our release from the necessity of personally keeping the Law as a condition of justification.” Rather, the foundation of Christian ethics is substantiated in the sinner through this iustitia imputata. 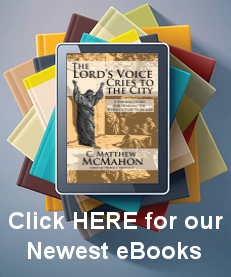 McGrath rightly comments, “The doctrine of justification by faith declares that God makes available as a gift a new mode of existence, a new lifestyle, and enables believers to act in such a way that their actions correspond to those of Jesus.” This does not mean that Christian ethics is justification. The only means by which the sinner is justified before God rests solely upon the imputation of the obedentia activa and obedentia passiva of Jesus Christ to a sinner, and subsequently God’s just declaration of the sinner’s soteriological state based on the work of Christ. It is this justification that makes Christian ethics possible. Throughout the centuries Reformed theologians and confessions have embraced and taught this distinction of the obedentia activa and obedentia passiva of Jesus Christ. The Belgic Confession states that understanding the justification of the sinner, “embraces Jesus Christ with all His merits…imputing to us all His merits, and so many holy works which He has done for us and in our stead.” In question 60 the Heidelberg Catechism defines this righteousness which Christians receive, “as if I had never committed nor had any sins, and had myself accomplished all the obedience which Christ has fulfilled for me.” The Second Helvetic Confession echoes these sentiments, “Therefore, solely on account of Christ’s sufferings and resurrection God is propitious with respect to our sins and does not impute them to us, but imputes Christ’s righteousness to us as our own (2 Cor. 5:19 ff. ; Rom. 4:25), so that now we are not only cleansed and purged from sins or are holy, but also, granted the righteousness of Christ, and so absolved from sin, death and condemnation, are at last righteous and heirs of eternal life. Properly speaking, therefore, God alone justifies us, and justifies only on account of Christ, not imputing sins to us but imputing his righteousness to us.” And so Calvin’s influence on the French Confession states the same where the, “obedience of Jesus Christ, which is imputed to us” saves sinners. The Westminster Confession makes this distinction when it says that justification is through “imputing the obedience and satisfaction of Christ” to elect sinners. The Confession qualifies what “obedience” means in respect to Christ’s obedentia activa and obedentia passiva when it says, “Christ, by his obedience and death,” making a conscious choice to utilize both his active obedience and his passive obedience (death) as the foundation for justification. The first distribution of the acts of Christ’s righteousness is with respect to the laws which Christ obeyed in that righteousness which he performed. But here it must be observed in general, that all the precepts which Christ obeyed may be reduced to one law, and that is that which the apostle calls the law of works, Rom. 3:27. Every command that Christ obeyed may be reduced to that great and everlasting law of God that is contained in the covenant of works, that eternal rule of right which God had established between himself and mankind. Christ came into the world to fulfill and answer the covenant of works, that is, the covenant that is to stand forever as a rule of judgment. And that is the covenant that we had broken, and that was the covenant that must be fulfilled. Shedd says the same more succinctly, “Christ’s active obedience is his perfect performance of the requirements of the moral law.” Without this obedience, men can never be justified in the sight of God and obtain a true righteousness that does not fail them. This should be noted, “It is not to be interpreted as if it meant, that His passive obedience consisted in mere suffering, or that His active obedience consisted in mere service; for it implies obedience in both, and excludes sufferings from neither.” Buchanan, James, Justification, (Carlisle, Banner of Truth Trust: 1991), Page 307. Berkhof, Louis, Systematic Theology (Grand Rapids, Wm. B. Eerdman’s Publishing Co.: 1988) Page 379. Making one righteous is to cross into the heretical “works salvation system” that Roman Catholicism has erected through the infused righteousness one may gain from Christ, but may also lose. The only manner in which a Roman Catholic may be able to gain this back is through works assigned to them through penance. Karlberg, Mark W. Westminster Theological Journal, Reformed Interpretation of the Mosaic Covenant, (Westminster Theological Seminary 1981;2002). Vol. 43, Page 52. Bahnsen, Greg, Theonomy in Christian Ethics, (Covenant Media Press: 2002) Page 128. McGrath, Alister E. Journal of the Evangelical Theological Society, In What Way Can Jesus Be A Moral Example For Christians? (The Evangelical Theological Society: 1991;2002). vol 34, Page 296. Kline, Meredith, Westminster Theological Journal, Law Covenant, (Westminster Theological Seminary: 1965;2002). vol 27, Page 13. The Belgic Confession of Faith, Article XXII, Our Justification Through Faith in Jesus Christ. The Second Helvetic Confession – Chapter XV, Of the True Justification of the Faithful. The French Confession, Article XVIII. The Westminster Confession of Faith, Chapter XI Of Justification, Paragraph 1. Ibid, cf. the Westminster Confession of Faith paragraph 3, the Westminster Larger Catechism question 70 and the Westminster Shorter Catechism question 33. Stated And Maintained. (Auburn, Ages Software: 2002, CD ROM) Page 11. Owen, John. Works, vol 3 (Carlisle, Banner of Truth Trust: 1992) Pages 204-205. Owen, John. Works, vol 1 (Carlisle, Banner of Truth Trust: 1992) Page 359. Hodge. Charles, Systematic Theology, Volume 3, (Grand Rapids, Wm. Eerdman’s Publishing Company, 1986) Page 141. Ames, William. The Marrow of Theology, (Grand Rapids, Baker Books: 1997) Page 162. Emphasis mine. Turretin, Francis. Institutes of Elenctic Theology, vol 2 (Phillipsburg, P & R Publishing: 1994), Page 448. Turretin, Francis. Institutes of Elenctic Theology, vol 2 (Phillipsburg, P & R Publishing: 1994) Page 648. Witsius, Herman. The Economy of the Covenants Between God and Man, vol 1 (Phillipsburg, P & R Publishing: 1990) Page 402. Edwards, Jonathan, Works, vol 1 (Carlisle, Banner of Truth Trust: 1992) Page 575. Shedd, W.G.T. Dogmatic Theology, (Phillipsburg, P & R Publishing: 2003) Page 720. Examples of this kind of Romanized teaching, and more, which denies the imputation of the active and passive obedience of Christ and centers on a works-justification, may be found throughout the theology of the following works: Reformed is Not Enough, by Doug Wilson; Stumbling into Apostasy, Credenda Agenda, Vol. 13, Number 2, by Douglas Wilson; tapes from the Auburn Avenue Pastor’s Conference 2002 or 2003; The Climax of the Covenant, by NT Wright; What Saint Paul Really Said, by NT Wright; Paul and Palestinian Judaism: A Comparison of Patterns of Religion, by E.P. Sanders; Word Biblical Commentary on Romans, by James D.G. Dunn; The Justice of God: A Fresh Look at the Old Doctrine of Justification by Faith, by James Dunn and Alan Sugate; Jesus, Paul, and the Law: Studies in Mark and Galatians, by James Dunn; Paul Among Jews and Gentiles and Other Essays, by Krister Stendahl; The New Perspective on Paul, by Michael B. Thompson; The Call of Grace, by Norman Shepherd. Forde, Gerhard, Dialog, Justification by Faith Alone. The Article by which the Church Stands or Falls? (Fall 1988) Vol 27, Page 260.